I can't get enough of Vintage Ads lately. They're just too entertaining. 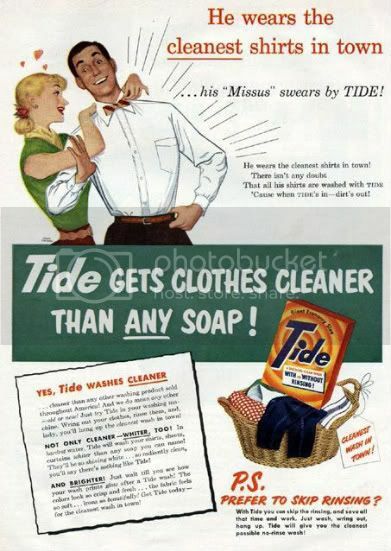 Caption reads: "He wears the cleanest shirts in town ...his 'Missus' swears by TIDE!"